We’ve been so busy at Day Trade To Win the last couple of weeks with webinar presentations, assisting new customers and our recent launch of the Power Price Action course that we’ve neglected to post some recent charts. 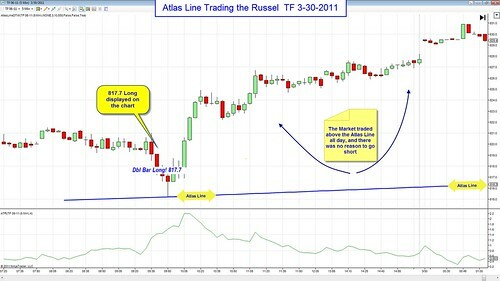 Here are a few charts showing how the Atlas Line has been chugging away on two of our favorite markets, the Euro (6E) and Russel (TF), producing daily profits Atlas Line customers have come to expect. In this first chart, you can see how effective the ATR is in deciding when to exit a trade. Using the Average True Range with the Atlas Line is covered in the live training that’s included with purchase. 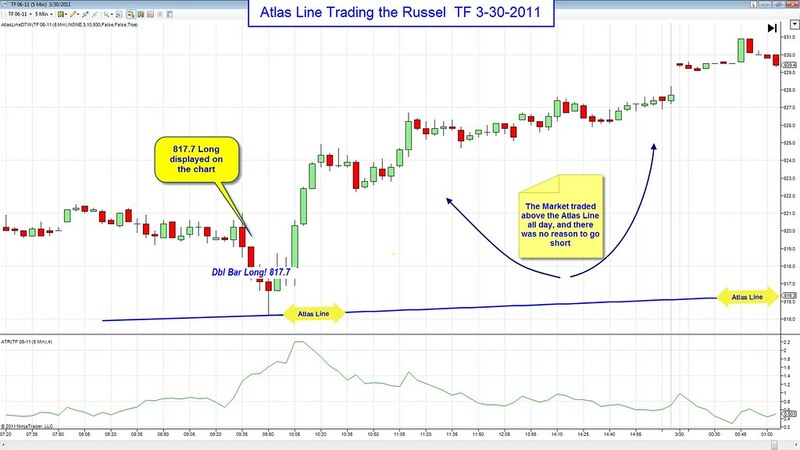 This could have been a very frustrating day for traders who were not using the Atlas Line. 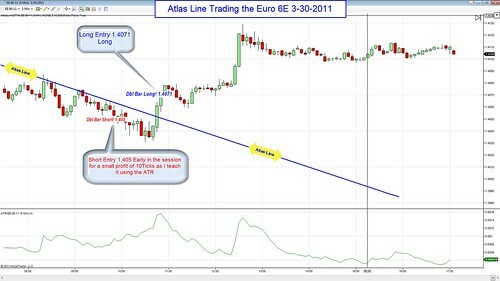 Since we knew that price would climb (relating the position of price to the Atlas Line’s line), making a profit was very easy.